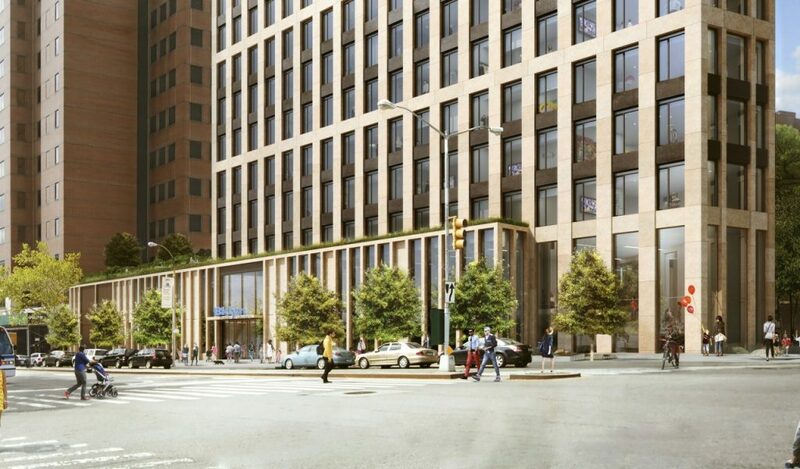 Located at the confluence of Clinton Street and Cadman Plaza West and standing directly in front of One Pierrepont Plaza’s postmodern red and white facade, One Clinton Street, aka 280 Cadman Plaza West, is on the rise in Brooklyn Heights, on its way to a 409-foot-high pinnacle with 36 floors within. 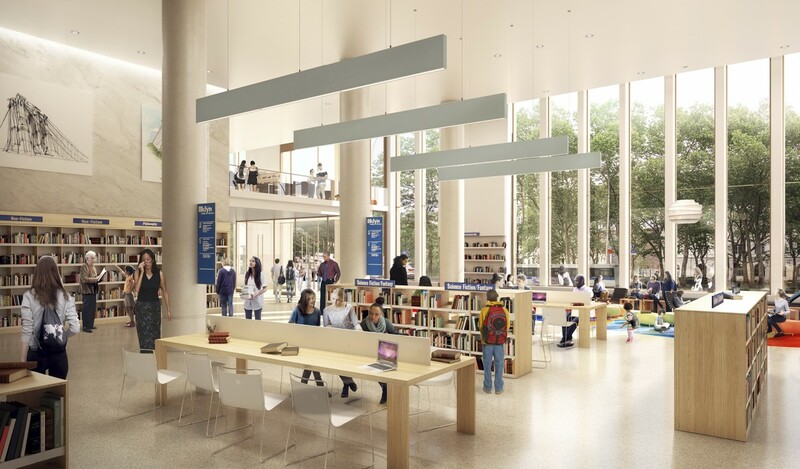 The tower is being designed by Marvel Architects and developed by Hudson Companies. 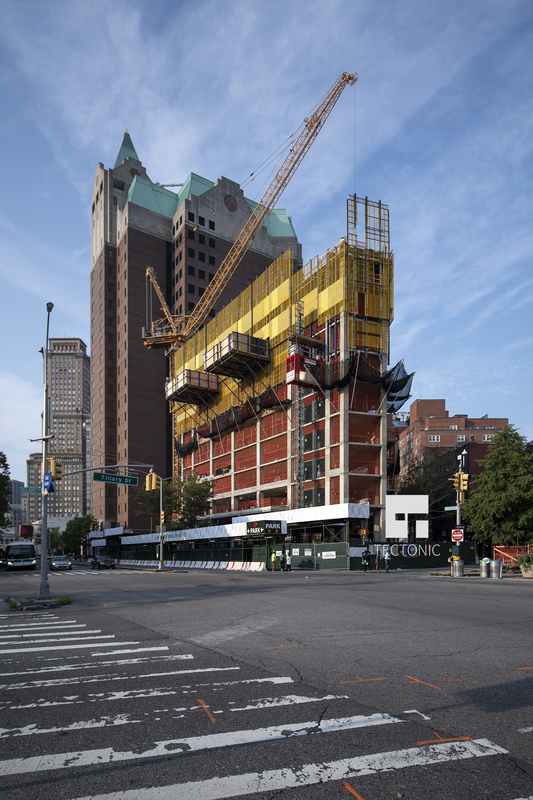 The site was acquired for $52 million when it was purchased in 2015 before the demolition of the formerly extant Brooklyn Heights Library, and the latest photos of progress come from Tectonic. 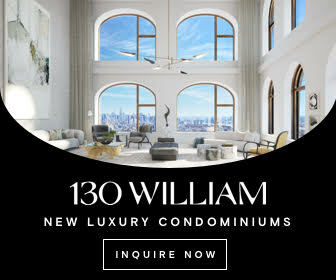 Surrounded by five subway stops on the 2,3, A, C and R train, with a short walk to the Brooklyn waterfront and DUMBO, the location offers convenient access across the neighborhood and into Manhattan. 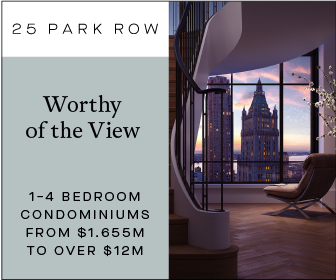 There’s also the added benefit of uninterrupted views looking to the east towards the morning light and Cadman Plaza Park, and west towards Lower Manhattan and the East River. The exterior is a simple grid of columns, separating windows into vertically grouped segments for every three floors along all sides. The twelve sections of the facade are divided up by horizontal lines, breaking the rigid vertical strips of thinly spaced columns. The Brooklyn Roasting Company will partially occupy the retail section, along with curated pop-up food vendors selected by Smorgasburg. A three-story library measuring 26,620 square foot with 20-foot high ceilings, a reading room, an assembly space, offices, and storage will come with it, along with a STEM lab spanning 9,000 square feet. 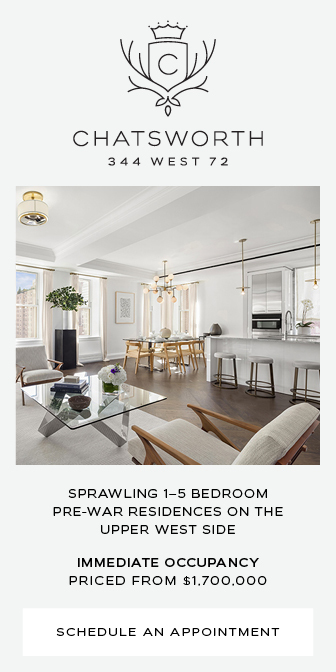 The total square footage of One Clinton Street is around 295,000 square feet. 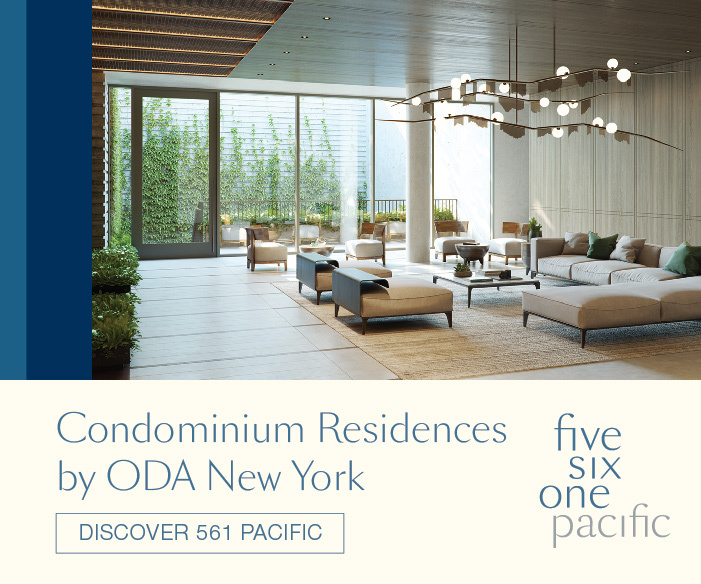 There will be 134 units that range from one- to four bedrooms averaging $3.6 million and 2,064 square feet apiece. The developers anticipate a $477 million sellout. There will also be 114 off-site affordable units. 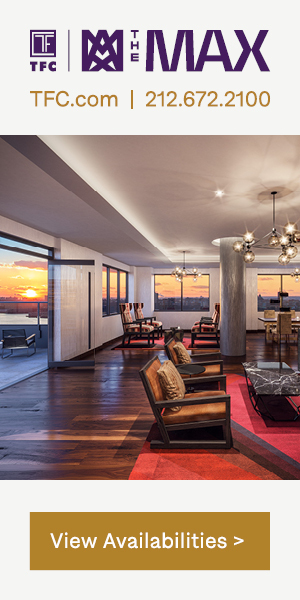 Amenities include underground parking with 52 spaces, a storage room, a fitness center, and a movie screening room. A formal completion date has not been announced but the project expected to finish sometime in early 2020. 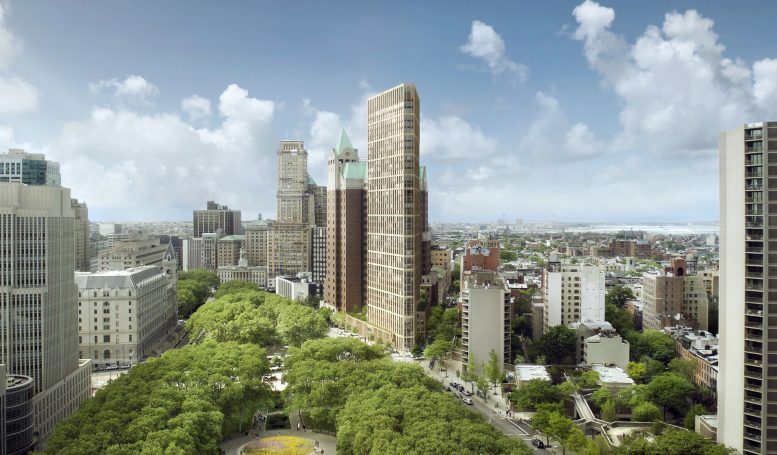 4 Comments on "One Clinton Street Climbing Quickly Above Cadman Plaza Park in Brooklyn Heights"
Please pardon me for using your space: Reduce your strong hate and raise your love. How do I get an application for Clinton street apartment? You don’t. It’s not subsidized. How many millions do you have?